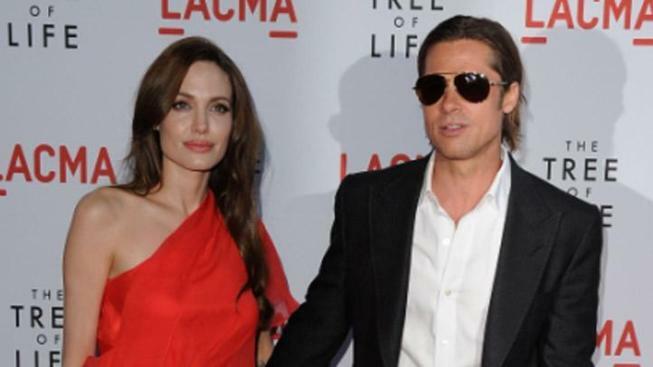 Matt Damon likened Brangelina to prisoners. Matt Damon would not like to trade lives with his "Ocean's" franchise co-star and longtime pal Brad Pitt! "I have friends who are like prisoners. Brad Pitt and Angelina Jolie, for instance," Matt told German television TELE 5 over the weekend, according to People. "They can't just go someplace," he continued. "If they go for a walk, it turns into an international incident." Matt might be a box-office mega star just like his famous pals, but says he's been able to live a somewhat normal life. "I'm really lucky, because I have the best of both worlds. I do the work that I love and need, but don't need paramilitary troops to protect me when I walk out my front door," the 40-year-old said. The star's main focus is now his family – wife Luciana and his four daughters – who try to live outside the far-reaching spotlight of Hollywood. "Ever since I found my wife and we had children, my whole life revolves around that. It gave my life a dramatic change in direction," the Oscar winner continued. "I'm not as crazy as most of the other stars. I don't really know why, probably because I married a woman who isn't an actress. And we live in New York, as long as we don't show up in typical tourist spots, we can walk the streets without being noticed. New Yorkers are very cool, they don't flip out if they see me."